A group of female friends run into trouble while hiking in remote woods. If you’re looking for an action packed gore-fest, then this probably isn’t for you, but if you’re patient enough and prefer something a little more subtle, then I suggest you give this a watch; the characters are well written and the practical effects are really good. 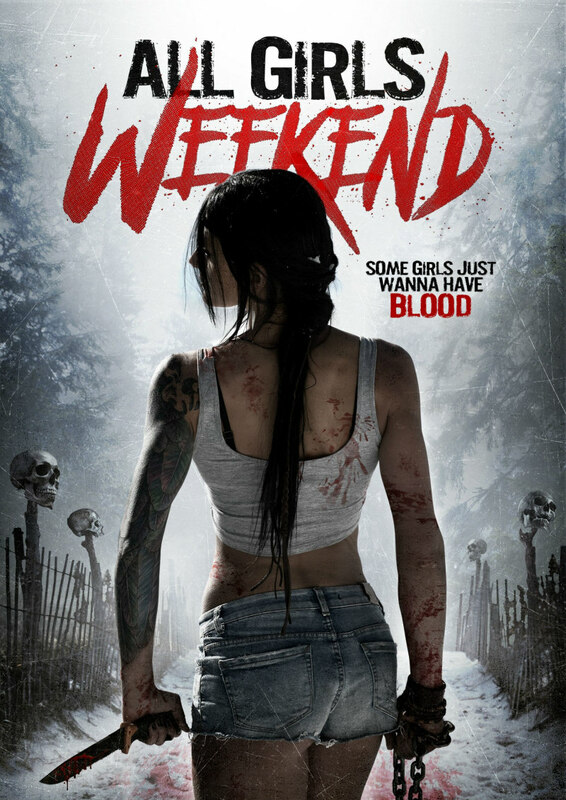 All Girls Weekend features an all-girls cast (Jamie Bernadette, Katie Carpenter, Gema Calero, Karishma Lakhani and Sharron Calvin) and is directed by Lou Simon, who is also female, so it’s pretty strong on female empowerment. 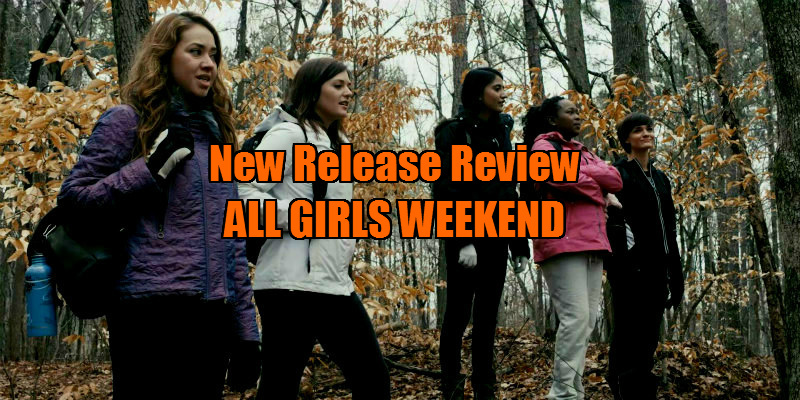 The film is about a group of girlfriends from high school who get together many years later for a hike in the woods. As you can guess, with it being a horror film, the woods aren't what they seem to be, and the further the girls go in, the more trouble they get themselves into. The main poster for the film sports a female carrying a saw and a head in a very dominant position, which really reminds me of the poster for Haute Tension, a French extremism film from 2003. Another poster shows a girl carrying a knife and a chain. These posters got me really buzzed to watch the film, which initially looked like a serial killer gore-fest, but after watching, I realised these posters are extremely misleading and show nothing of what the film is really like. There is a really slow build up to the action and actual horror in this film, so there’s plenty of time for us to get to know the characters and decide which of them we want to survive, and this I like. I was just confused about the characters’ history; considering they are all meeting up for a high school reunion, they all seem to have beef with one another, which is slightly perplexing as they are supposed to be good friends. It’s around the 45-50 minute mark when the film really starts coming together. I like the mix of supernatural eeriness and actual body horror, as it adds an element of reality for what could actually happen if you were stuck in the woods, even if it is a bit over the top. Initially, the acting is quite wooden, especially in the earlier scenes of the girls talking to one another, which seem forced, although they warm up after a while and the acting improves immensely. The different personalities of the girls all mesh together, and this aspect really reminded me of The Descent (2005), which is a huge compliment. If you’re looking for an action packed gore-fest, then this probably isn’t for you, but if you’re patient enough and prefer something a little more subtle, then I suggest you give this a watch. No, it’s nothing amazing, and I do have quite a few niggles with it, but the characters are well written and the practical effects are really good. The ending is slightly disappointing - it could have packed a bit more of a punch - but overall, this is a decent film, full of horror tropes for the fans.